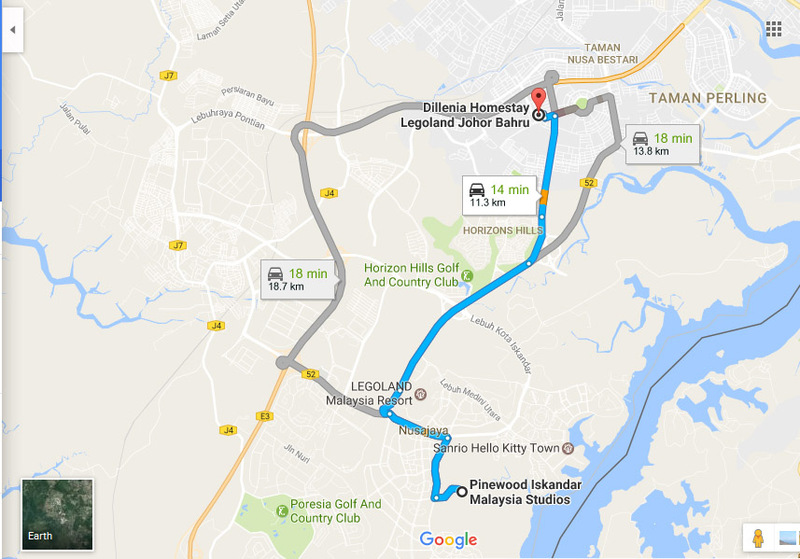 Pinewood Studio, Iskandar Medini is only 10-15 minutes driving from Dillenia Homestay whici is located in Bandar Bukit Indah, Nusajaya. Pinewood Studio, Iskandar Medini is is an international class Production Studios just 30 minutes drive from the international theme park Universal Studio of Singapore. Pinewood Studio, Iskandar Medini do not offer amenities such as above groceries, minimart, clinic. pharmacies etc so it is wise for you to choose our homestay since the amenities are just nearby our homestay. So, if you are seeking or cari homestay nearby Pinewood Iskandar Studio at Medini, ours is the best location. It will be a convenience for you and team or group to get anything which you need.